So we know that Zebras are rare, but what happens to those Zebras who are so rare that the other Zebras don’t even know who they are? I’ve been having a lot of medical setbacks lately, and have been struggling to get answers. We all know that the doctors aren’t always the best at understanding our rare conditions, so it is difficult to rely on them for support. Most times they simply add to the multitude of frustrations that we deal with on a daily basis anyway. We generally seek out advice and support from our peers, those who have been through exactly what we are going through. Zebras can sometimes find this a bit more difficult since we are by definition, rare. So, we tend to turn to social media outlets to find others in our situation. The internet and social media have made it possible for rare disease sufferers to more easily connect with others around the world who have the same condition. We can provide support for each other, discuss different treatment options, and be a soundboard for when we have to make difficult medical decisions. Online “Spoonie” communities have popped up everywhere to help people with all kinds of ailments cope. There are communities for EDS, Mitochondrial Disease, Dysautonomia, POTS, Lyme Disease, Fibromyalgia, and so many more. Many members of these communities say that without the support of their online friends they would feel isolated and misunderstood by everyone. But what do you do when you have such a rare diagnosis that even the online communities for rare diseases don’t know what it is? This is the situation in which I find myself. I have a metabolic disorder that inhibits my ability to process certain protiens. It also causes mitochondrial dysfunction. It’s symptoms are similar to those of mitochondrial myopathy, chronic fatigue syndrome, fibromyalgia, dysautonomia, gastroparesis, POTS, and many more. My disorder is what is known as an Organic Aciduria. There are many forms of organic acidurias, so I went to the Organic Aciduria Association to try to find some answers. I sent a message to the organization about my condition trying to get some answers, but the response I received in return was disappointing. I was told that my diagnosis, 3-Methylglutaconic Aciduria, is one of the rarest of the acidurias, and they had no information for me. No Information!? How could that be? I was told to reach out to the members to see if anyone had experience dealing with it. I have yet to find anyone. So what does a Zebra do when it doesn’t look like any of the other Zebras? 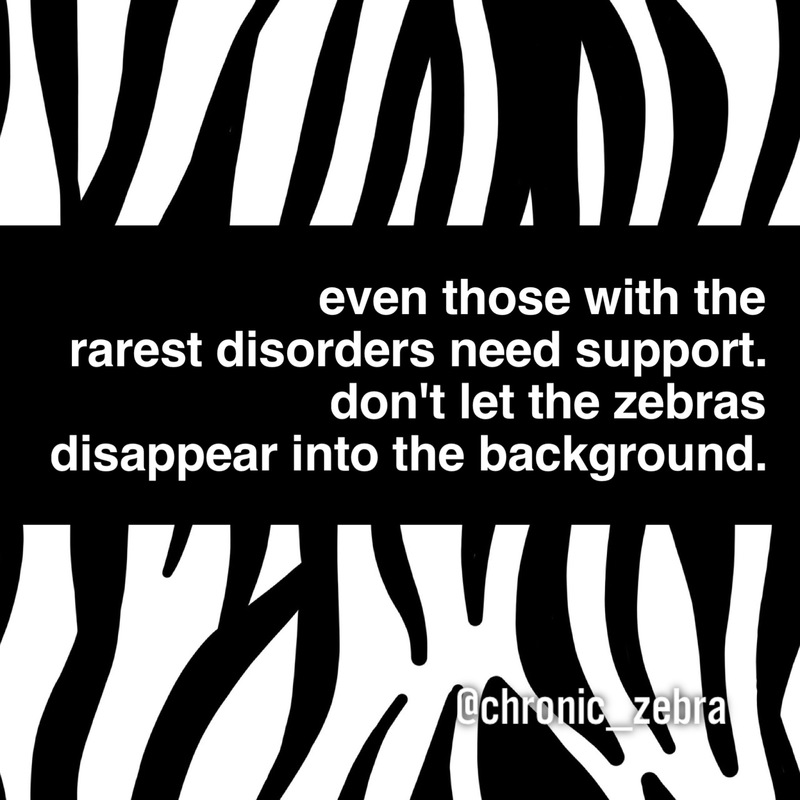 Where do the rarest of the rare go when they need support? Don’t get me wrong, the other Zebras play nicely. They try to support in ways that they can, they add me to their groups and lists, and chat with me. They do their best, but when it comes down to it I am still the only one in the group who doesn’t quite belong. I don’t have a group I can call mine. When you have a chronic, debilitating illness you can become isolated from the rest of the world. It’s easy to fall into a depression without proper support. Having a sense of belonging to a bigger community is critical. That’s what so many “spoonies” have found through social media. I have found that although I may have people who are supportive, I have yet to find anyone who truly understands. 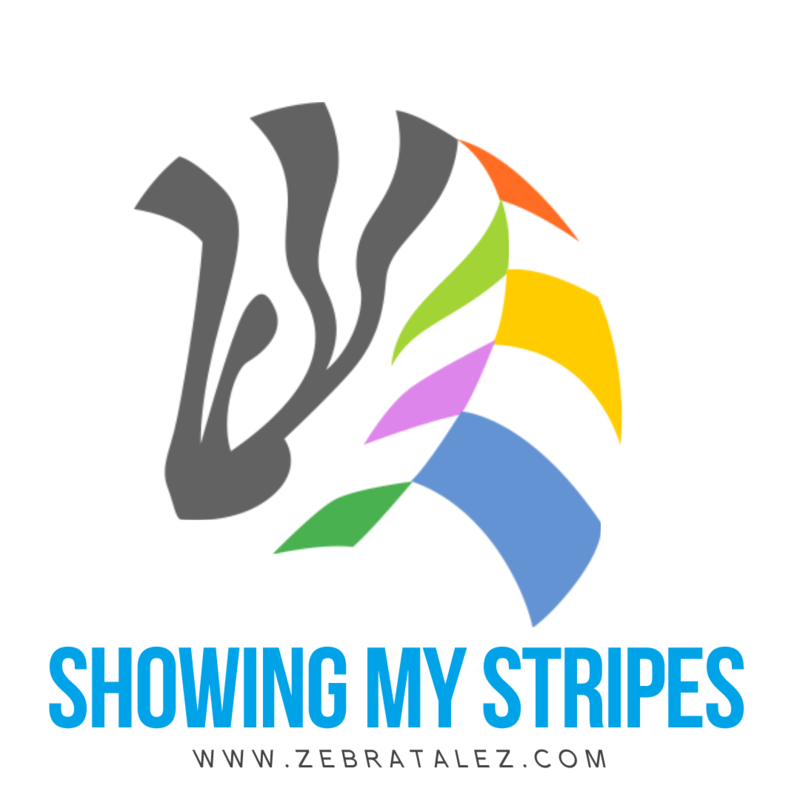 I am the herdless Zebra, and regardless of how much support you have, without a herd you are still in this alone. Next postMy wheelchair is not a prison! I have a Zebra son. He is 15 and we were chasing his diagnoses for years. I love your page!!! Thank you!!! Cas, thank you for following! I hope you were able to finally find a diagnosis for him and get him the treatment he needs.